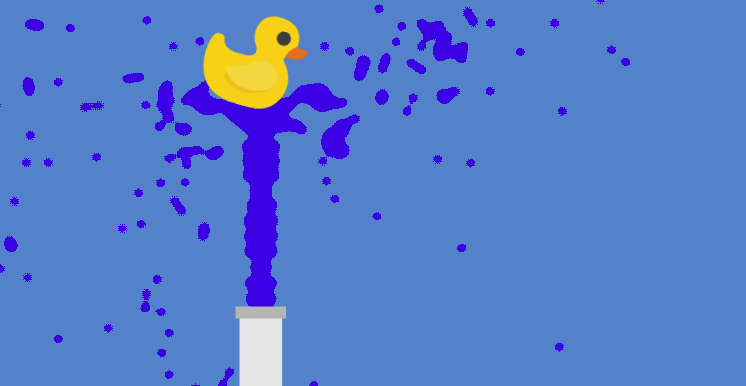 Use the water jet to move the duck across the screen. You get one point for each time you get it across. As time goes, the duck will gain weight. If the duck hits the floor, you lose. Get as many points as possible. Good luck! Bugs or other issues can be posted in the comments here or in the issues tab in github. Thanks. Wow! The fluid mechanics are amazing!